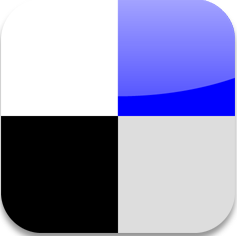 Apple has updated its iOS 7 with many bug fixes and new features to iOS 7.0.3 update for all supported devices. 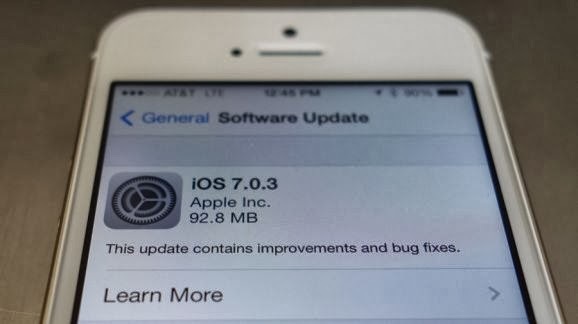 Before launching iOS 7.0.3 update, Apple roll-outs iPad mini with Retina display and new iPad Air, while Apple mentioned the new update package download size of 92.8 MB ( Mega-Byte ). 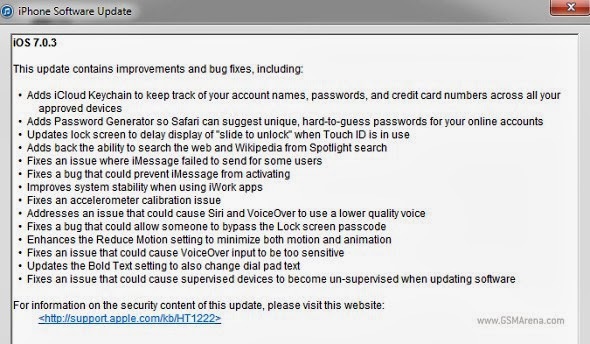 In the iOS 7.0.3 update, important ones include patching some iMessage activation problems and resolving the notorious accelerator issue and recently discovered will no longer threat bypass lock screen pass-code on your iOS 7 device. iCloud Keychain has been added to iOS update to track of your account names, passwords and credit card numbers across all your approved devices.